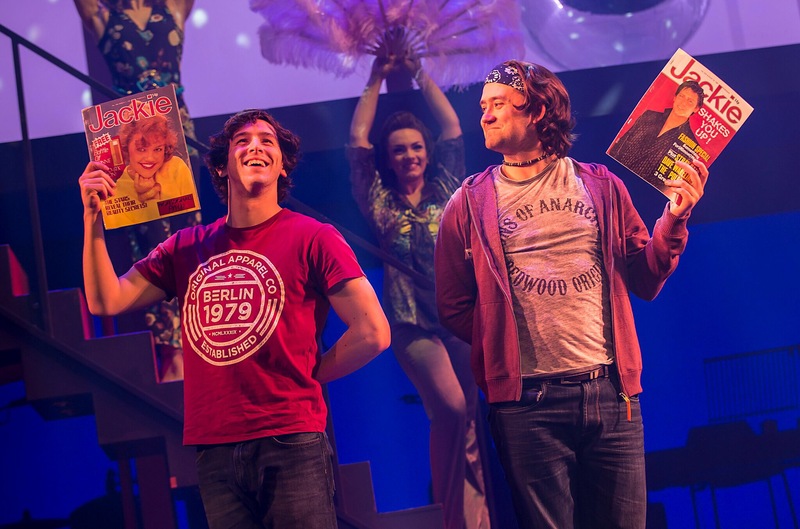 Seventies teen sensation Jackie is making a triumphant return but this time in the form of a fun jukebox musical. Yes you heard that right and you’re probably thinking how. Sitting down at the Orchard Theatre last night, that was exactly my thoughts. Whilst eagerly awaiting the overtune to fill the room, I was very interested to see how they could create a show based upon a magazine. Initially thinking that the show would tell the story of how the magazine was created back in the seventies, it was far away from that. This was no “Devil Wears Prada” theme telling the tale of pushy bosses, scandal and hidden print office secrets, it was the polar opposite. 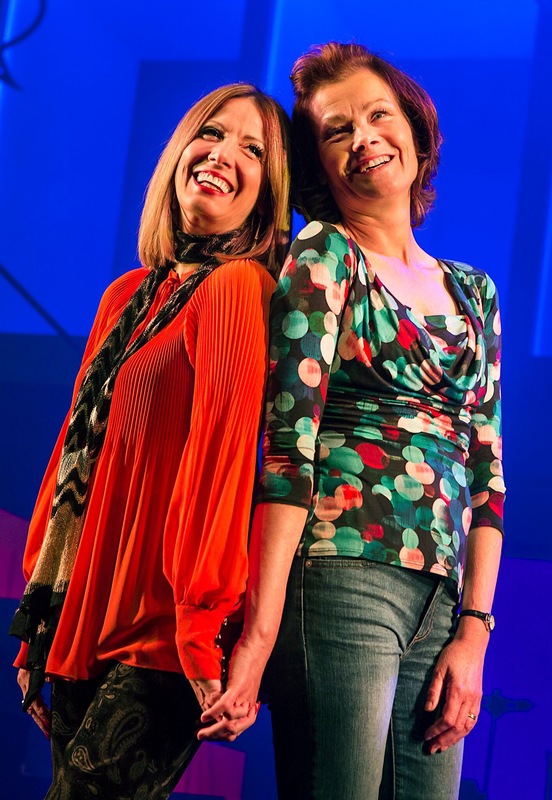 The show tells the story of a middle aged woman called “Jackie” played by Janet Dibley who is in the middle of a mid life crisis. With her son dropping out of school, her pending divorce weighing her down and an over enthusiastic best friend pushing her to find new love, her life is all over the place. With her younger self popping into her head on many occasions, it tells the story of moving on, being independent and more importantly taking control of your life. 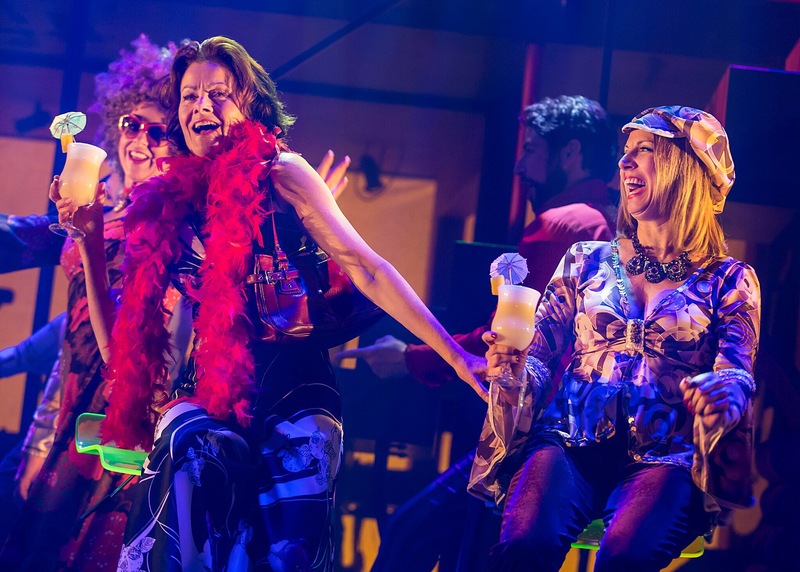 The audience was filled with mainly women of a similar age who had come for a night out with their girlfriends in the hopes of re-living their youth. Clapping, cheering and very loud singing filled the room for the majority of the night with sings such as “Puppy Love”, “I Love To Love” and “I Can See Clearly Now” to name just a few, it felt as if you’d stepped into a time machine to a time where flares were the in fashion and Facebook was a myth. The storyline has real depth and leaves you in a state of deep thought. Janet portrays Jackie with such ease which makes you really feel for her and the situation she is in. Her performance was believable and mirrored exactly what the storyline was trying to put across. The magazine is referenced throughout and is used as a source for valued advice and a platform for Jackie’s son David played by Michael Hamway to write songs for his band. Fun loving Jill, played by Lori Haley Fox was a real highlight for me. Her jokes, light humour and bursts of energy added highly to the shows enjoyability. The whole cast put on a stellar performance in which anyone would benefit from seeing. The show is fun, entertaining and really does connect with the audience. If you want a night out with the girls or you love to boogie, make sure you get tickets whilst it’s still touring across the UK. The show finishes in Dartford on Saturday 18th June. Don’t miss out!